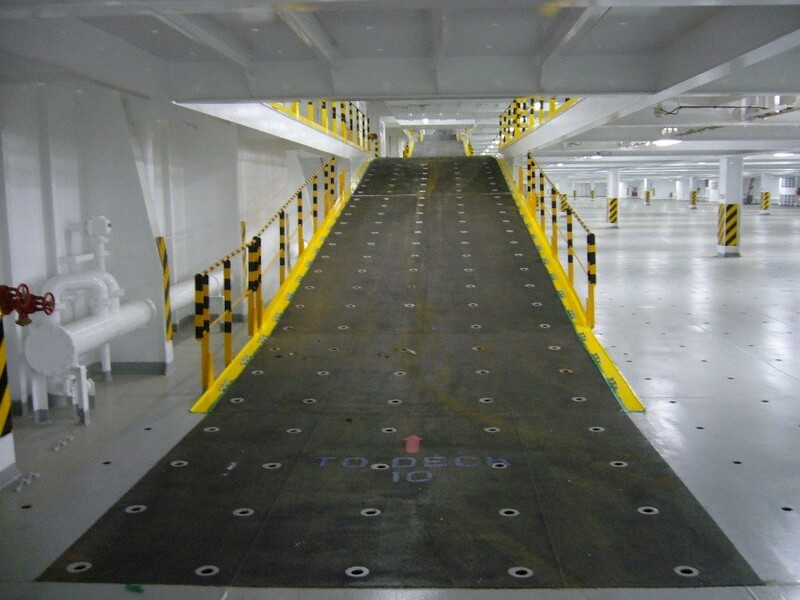 We are pleased to report that Leeson Polyurethanes has installed the Safegrip High Performance Polyurethane Anti-Skid System on its 60th PCTC (Pure Car and Truck Carrier) vessel. 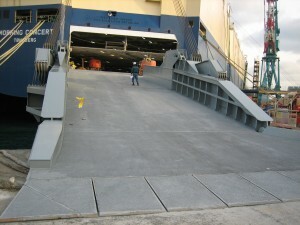 The Safegrip system goes from strength to strength and is a high performance coating system for marine applications, loading areas, bridge decking and other heavily trafficked areas. 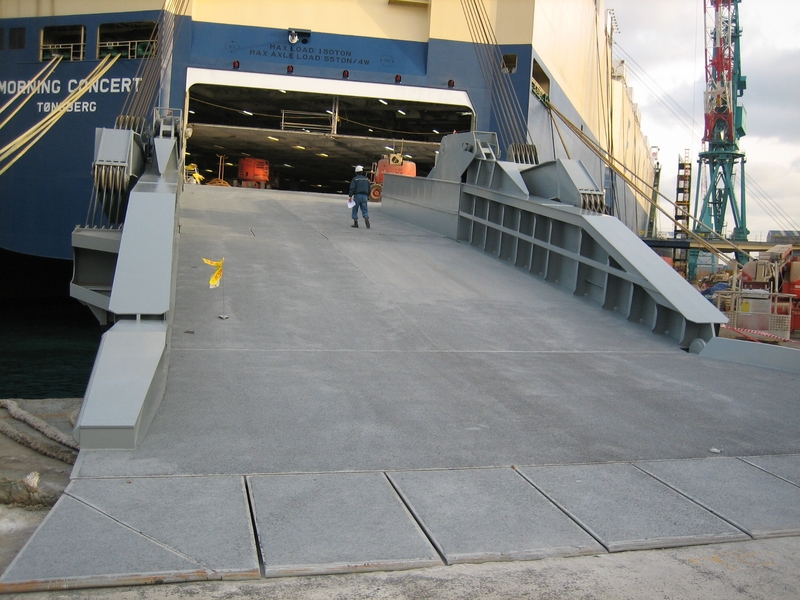 Safegrip comprises a 3 component polyurethane coating which when dressed with aggregate, provides a heavy duty high friction surface. 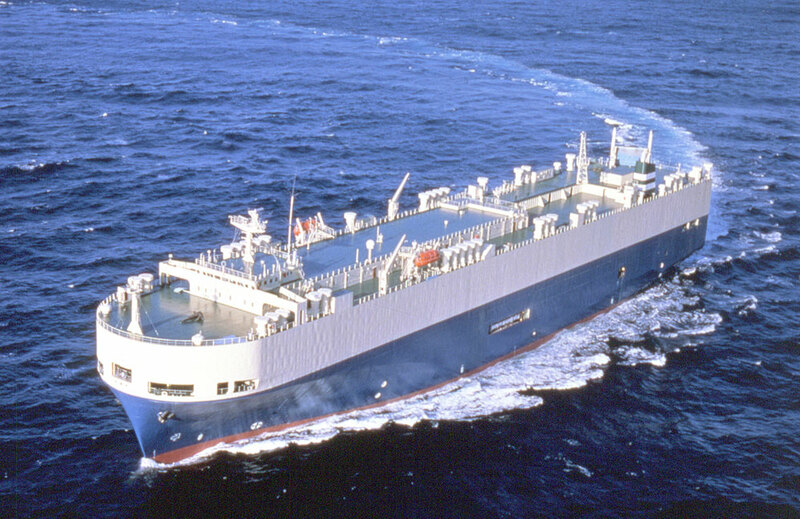 The system is waterproof, has high thermal tolerance and is solvent free being Class 1 Fire Rated to BS476 Part 7 at Warrington Fire Research and IMO Fire Rated as a Primary Deck Covering (Fire, Smoke and Toxicity approved) The Safegrip complements Leeson Polyurethanes Ltd.’s other coatings systems such as D3149 BBA approved road system. For more information please contact us.